Luxury split level one bedroom apartment located in the heart of Surbiton and within minutes' walk of the towns main line station known for its fast service to London Waterloo (approx 16mins). 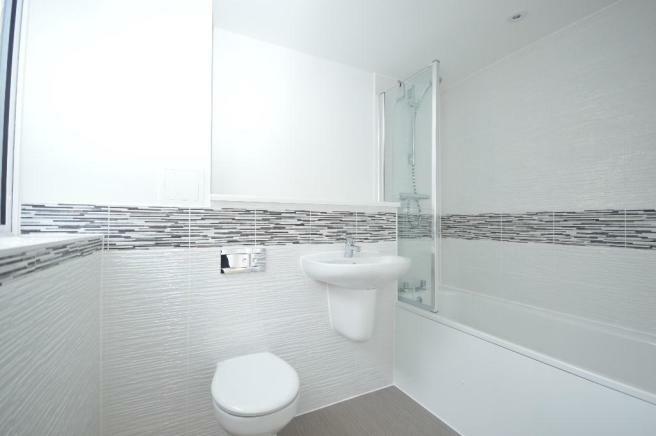 This contemporary apartment is part of the 'Surbiton Plaza' development. Tucked behind Victoria road, the development offers secluded, convenient living by being a short walk away from local shops, Cafés & restaurants. The apartment itself benefits from its own front door leading into a large hallway with down stairs toilet and utility cupboard. You are then presented with an immaculately finished open plan lounge/kitchen with dark walnut flooring, granite surfaces and high gloss units. Upstairs offers a large double bedroom with built in storage, stylish en-suite bathroom & sliding french door leading onto your private balcony. Disclaimer - Property reference OldPostOffice16. The information displayed about this property comprises a property advertisement. Rightmove.co.uk makes no warranty as to the accuracy or completeness of the advertisement or any linked or associated information, and Rightmove has no control over the content. This property advertisement does not constitute property particulars. The information is provided and maintained by Parry & Drewett, Chessington. Please contact the selling agent or developer directly to obtain any information which may be available under the terms of The Energy Performance of Buildings (Certificates and Inspections) (England and Wales) Regulations 2007 or the Home Report if in relation to a residential property in Scotland.